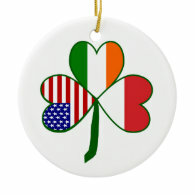 Today, we will visit the Flags of Nations or Flagnation shop at Zazzle. Currently, the holder of the domain, www.flagnation.com, but that is subject to change (my whim). It can also be found at zaz.flagnation.com and, of course, www.zazzle.com/flagnation. We will spend all our time today at this shop, looking a a few of the heart shaped designs available as we prepare for Valentine’s Day. First up, we show the Flag of Greece in a heart shape on a lovely BBQ apron. Apron is great for any kitchen work, too. And allows you to share your love and pride in your Greek heritage and ancestry all year long. Many products come in this design, and many of those make lovely gifts for your favorite Greek, traveler, or person who just loves the culture. You can find them all here. 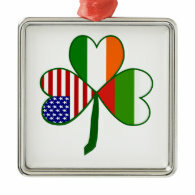 Moving along, we travel to Ireland and view a beautiful Irish Flag Heart Valentine in a locket. A perfect gift for your Irish lassie any time of year, but especially appropriate for Valentine’s Day. Other gifts with the same design can be found here. Moving along, we travel to the Netherlands and see a fun trucker hat with a heart shaped Dutch flag. Wonderful way to share love and pride in your Dutch roots. And a great gift for anyone on your Valentine’s Day list who loves Holland. You can see all the products available with this design here. That’s all for today. See you next time and HAPPY SHOPPING!